Want to live a little? 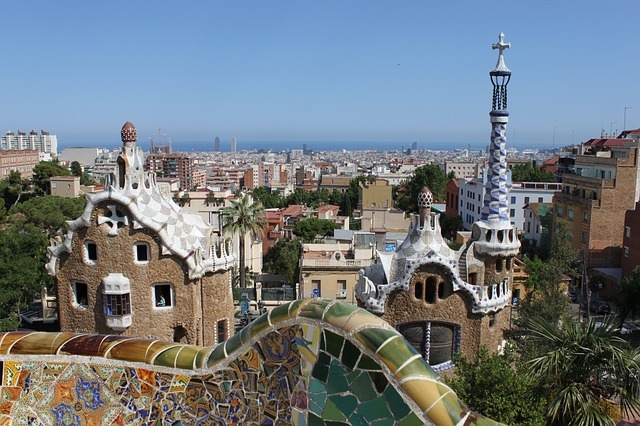 Try these decadent things to do in Barcelona! Often as backpackers, we take pride in stretching a dollar as far as we can without tearing it in half. If there’s a questionable rickety hostel near a bus station on a poorly lit street, we’ll strongly consider staying there. It is sacrifices like this and others that add up to extra weeks or even months on the road, time that becomes very valuable indeed when it is filled with free or very inexpensive activities that enrich the soul and mind. After long periods of this threadbare existence though, any person can start to get burnt out, especially when one is accustomed to higher standards of living from when they were living back home. As such, it is far from a bad idea to plan a few splurge periods when one is traveling for extended periods of time, as it rejuvenates those that grow weary of laying on mattresses where the imprint of the springs can be seen in your back after a fitful night of attempted sleep, or those that simply can’t stomach another dinner of self-prepared spaghetti, topped with just-expired Ragu sauce. If your wanderings will bring you to Spain’s doorstep this fall, these decadent things to do in Barcelona will help in boosting your spirits, as isn’t this part of what travel is supposed to be about? We think so! On with the suggestions…! Often, the best way to take a break from the backpacking grind is to level up one’s choice in accommodations. Instead of auto-booking the cheapest hostel in the city like you usually do, why not give that chic hotel in Barcelona more than just a wistful stare … hit that “book now” button, and don’t feel the least bit guilty about it … after months of scrimping, you deserve this! A few hotels we think would be excellent for you and your mates include: (a) the Abba Balmoral, which is less than mile from the city centre and has a cafe and bar, (b) Husa Ila, which is near the home stadium of FC Barcelona, and (c) the Crowne Plaza Barcelona Fira Center, which offers a location central to many of the cities top attractions, and a piano bar to chill in at night, all starting at £39 a night. Many major European cities offer restaurants where the quality of cuisine is out of this world. Unfortunately for backpackers, so are the prices, but there is a way around this: lunch set menus. Many restaurants, even those of a high caliber, will price their midday offerings as low as €15-€20 for a two to three course meal in Barcelona. If you have your heart set on splurging in Barcelona, you can’t come here and avoid its legendary nightlife. Absenta gives you a chance to chase the green fairy (aka drinking absinthe), as it is a nightspot well known for this notorious liqueur, while those seeking the Catalan capital’s best live music can not go wrong with 23 Robadors, as it plays host to everything from flamenco to jazz and even DJ’s!